Hong Kong-listed Macau Legend Development Ltd says it has “no plans at the moment” to invest further in a shopping complex on Hengqin island (pictured), an area in mainland China next to Macau’s Cotai district. The comments were made by a spokesperson in an emailed reply to GGRAsia. The Hengqin shopping complex, branded as“勵駿龐都廣場PONTO”, is due to open in the final quarter of this year, according to several Macau’s Chinese-language media reports. 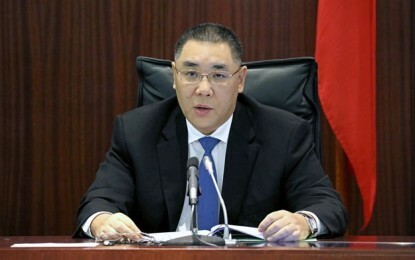 In a February 27 filing, Macau Legend – known as an operator of casino venues in Macau and Laos – said that it had reached a deal to buy a 21.5 percent stake in the company developing the shopping complex project. The deal involves a total consideration of HKD84.5 million (US$10.8 million), including the acquisition by Macau Legend of loans totalling more than HKD20.9 million, according to the filing. PONTO, with a total construction area spanning about 140,000 square metres (1.5 million square feet), is described by Macau Legend as a project that has an investment value exceeding CNY1.6 billion (US$239.5 million). The shopping complex will feature more than 300 shops. The PONTO project is majority controlled by Macau Legend co-chairman and chief executive David Chow Kam Fai. Mr Chow is also the largest shareholder of Macau Legend, controlling a stake of about 34.46 percent in the firm, as per the firm’s shareholding disclosure record, updated in the Hong Kong bourse as of January 17. “PONTO is located at the most prime location at Hengqin, which is an important focus in the Guangdong-Hong Kong-Macau Greater Bay Area initiative promulgated by the [China’s] central government, and is an area where various central government policies are favourably channeled to ensure success,” the Macau Legend spokesperson told us. 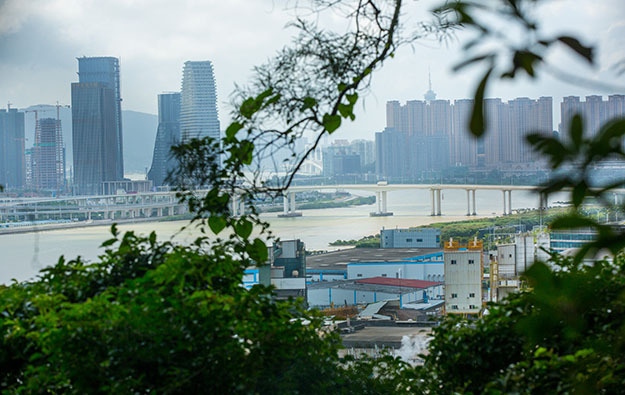 The mainland Chinese authorities envisage Hengqin as a draw for tourists, with non-gaming attractions to complement Macau’s casinos and tourism highlights. A highway and bridge joins the island to Macau’s Cotai district. PONTO is located across the boundary crossing checkpoint of Hengqin, according to local media reports. An underground connection between the shopping complex to the checkpoint is being constructed; this connection work is expected to be finished by August this year, Chinese-language Macao Daily News reported citing Mr Chow. “There are countless possibilities and opportunities for collaboration between PONTO and all Macau and international businesses,” said the Macau Legend spokesperson when asked if there was any potential branding or other commercial partnerships between the Hengqin project and the assets controlled by Macau Legend in Macau. According to the firm’s February 27 filing, upon completion of the acquisition deal, Macau Legend and the owner firm of the PONTO project would enter into a management service agreement, pursuant to which a Macau Legend subsidiary would provide property management services to the shopping mall project. The deal – valid until the end of 2021 – involves the payment of a HKD65,000 management fee plus an annual performance bonus. Macau Legend currently runs Babylon Casino and the Legend Palace Casino, both venues located in the Macau Fisherman’s Wharf complex, near the Outer Harbour Ferry Terminal on the Macau peninsula. The company also operates the Savan Legend Resorts Hotel and Entertainment Complex in Laos, a venue that has been undergoing a revamp.